By Irisa Leverette, Contributing Blogger. We are happy to introduce our new guest blogger and “Warrior Mom” Irisa Leverette! Irisa resides in NJ and has an 8 year old son Darius. 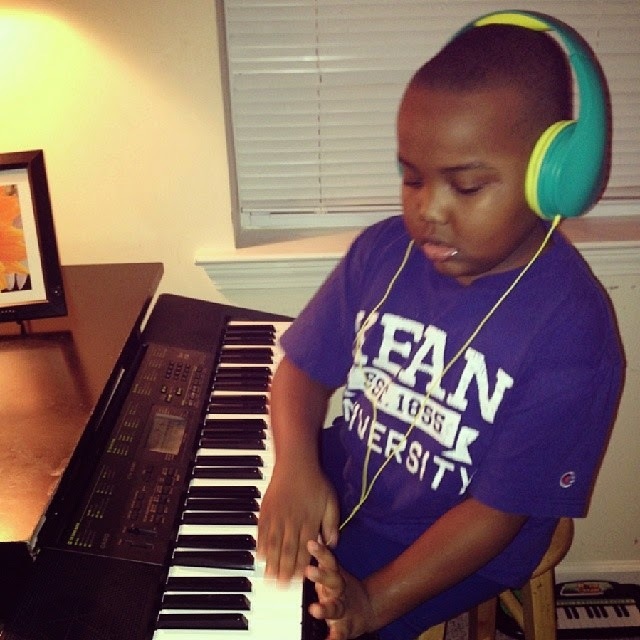 At 3 years old, Darius was diagnosed with Autism. In the monthly blog series, Irisa will be sharing what life is like as she and her husband raise Darius.A couple of weeks ago, I took Darius to get his hearing tested. His pediatrician recommended that I take him to an audiologist since he failed the hearing screening at school. When I called to make the appointment, I informed the office that he is Autistic, mostly non-verbal and has a difficult time understanding directions. I wanted the doctor to be prepared for his visit. The morning of his appointment, Darius and I arrived to the building at 8am. He was not familiar with this place, so he dragged his feet up the path leading to the entrance. Once inside, he appeared nervous and confused. As soon as I signed in, the receptionist gave me a bunch of forms to fill out. So that Darius would not take off running, I held his hand tight as I wrote. Whenever, we go to the doctor or dentist, he tries to run away from me. When I was done with the paperwork, I located a small table in the corner away from the other patients. While we waited for our turn, Darius listened to music on his toy piano. He never leaves home without it. It calms him when he is feeling overwhelmed or stressed. Fortunately, we did not wait too long before the doctor called us. As soon as he heard his name, he pulled me towards the door. He did not know what to expect; therefore, he wanted to leave. I quickly took his hand and led him right behind the doctor. We followed her into a small padded and insulated room. It reminded me of a space shuttle. Before she began the testing, she asked if Darius responds to loud noises. I mentioned that he can not tolerate loud sounds like vacuum cleaners and fire alarms. He responds by covering his ears to block out these sounds. Then, she noted that she was going to insert a small probe in each ear to test for hearing loss. She inserted the probe into his right ear, he immediately snatched it out. I had a feeling this was going to happen. Darius does not like his ears to be touched, especially by a stranger. He trusts me and I still have a hard time getting him to let me clean his ears. I decided to wrap by arms around him to help keep him still. Again, she inserted the tip; he squirmed like a worm. Seeing that he was uncomfortable with objects in his ears, the doctor decided to try a different test. For this test, the doctor explained that she was going to play a sound and when Darius heard it, hopefully, he would turn his head to find it. The doctor seated us in a chair facing a tinted window. Then she went into an adjacent room from ours to administer the test. Next, a drumming sound came roaring out of a speaker located to our left. Without delay, Darius turned his head in that direction. All of a sudden, my pants felt wet. I looked down to see why. To my surprise, Darius had peed! I called out to the doctor and told her what he had done. At that instant, she stopped the test and rushed into the room. By then, Darius had taken off all his clothes. He was standing in the middle of the room in his birthday suit. We looked at each other and laughed. Until now, he has not had an accident since being potty trained at four. I think Darius was taken by surprise. For one thing, he wasn’t expecting to hear a loud boom being transmitted through a speaker. Also, he didn’t know why he was there and what the doctor was going to do. He was in an unknown place feeling scared and anxious; he just wanted to be at home or school, his two favorite places. The doctor stood outside the door while I dressed him. I put his shirt and pants back on, but his underwear was too wet to wear. Afterwards, the doctor escorted us to the front desk and I rescheduled the test for another day. Although, the doctor was not able to complete the test, the visit was not a total waste. After all, I learned a valuable lesson from this. At first, I felt embarrassed. Then, I realized with Autism you have to expect the unexpected. Darius has been to the doctor dozens of times; he never had a problem. I expected the same result this time. The unexpected occurred and we exited the building wearing wet clothes along with a doggy bag with underwear inside. On the next visit, I will be prepared for an episode of incontinence. I am bringing along a change of clothing for him. Also, we are sitting in separate chairs. I plan to stay dry this time. I can not foresee the future but this time I will not fail to expect the unexpected.